In his book, The Knowledge Work Factory, Fortune 500 consultant and thought leader William Heitman helps you recognize opportunities for knowledge work standardization: the same keys to success that have unlocked breakthroughs from the Model T through Amazon. William is a managing director of The Lab Consulting, a company has been standardizing business processes for Fortune 500 businesses for 25 years. Standardization delivered breakthrough productivity gains in manufacturing operations, and despite common perceptions, it can do the same for knowledge work operations. Everyone, for example, knows about the Ford Model T and the moving assembly line. Each part and task was standardized—and eventually automated with robots—to accelerate production. 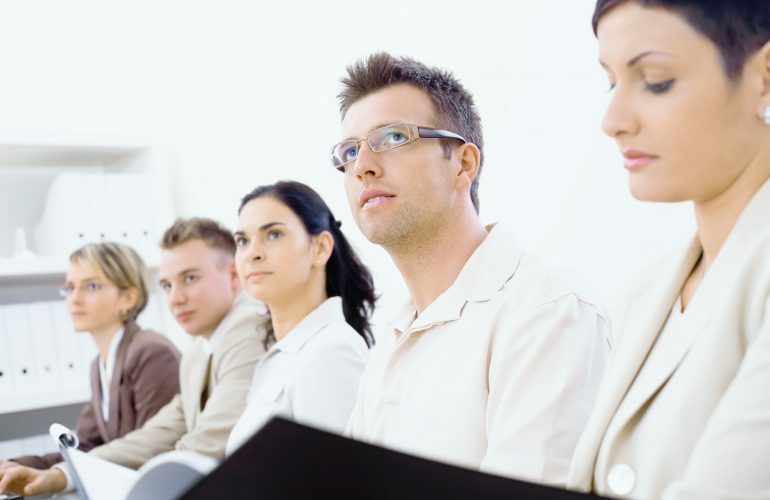 But what about your knowledge workforce? Knowledge workers will tell you that their work is unique and can’t be standardized. Ignore them—of course it can. This article provides a quick overview of what I call “standardization-based transformation” of knowledge work. This standardization paves the way for such hot trending technologies as robotic process automation (RPA), artificial intelligence (AI), business intelligence (BI), and analytics-based performance management, not to mention customer-journey mapping and experience improvement. And it can double white-collar productivity. Standardization—broadly defined as the development and implementation of measures, instructions, and metrics—takes various forms. Some standards are deliberate and well scrutinized. Others evolve more organically; they’re what I call “de facto standardization.” Examples of the latter include management “rules of thumb” and tribal knowledge that is refined over time but rarely documented. Low-value tasks that could be reduced, consolidated, or eliminated altogether—the very definition of under-productivity. Variance—the antithesis of standardization—which often hides “deep at the ocean floor,” at the individual-worker level. This is where you’ll find staggering levels of performance variance. Under-automation—especially the failure to exploit RPA. I’m continually surprised when executives tell me that they struggle to find digital automation opportunities in their businesses. They’re everywhere! The magnitude of virtuous waste will shock you. Among the Fortune 500 alone, it squanders over $3 trillion in shareholder value each year. That’s roughly equal to the current value of Facebook, Apple, Amazon, Netflix, and Google… combined. Here’s a real-life example of how virtuous waste hides in plain sight. 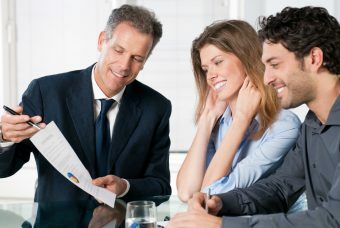 The leader of an insurance claims-processing organization—let’s call him “Bob”—was stressed to meet his CEO’s demands to increase production without adding staff. But little did Bob realize that his organization already had more than twice the capacity it needed to meet these new productivity goals. Bob’s a smart guy; how could he be so blind? The first answer is “variance.” Bob’s organization, like nearly every other one in the enterprise, failed to measure productivity down to the individual-employee level. So, Bob didn’t know that the best employees on his team—the top quartile—performed three times as much work as the bottom quartile. Worse yet, the bottom-quartile employees weren’t just unproductive, they were wasteful—they overpaid many claims. But because individual performance wasn’t measured, this variance hid in plain sight. So too did a wide variety of low-value activities that could be reduced or eliminated. For example, at least a third of these claims arrived “not in good order,” or “NIGO” in industry parlance. Bob’s team consequently spent time on avoidable error correction before they could begin to process these. Nor did Bob take advantage of the opportunity to automate simple, repetitive activities—now easier than ever, thanks to RPA. 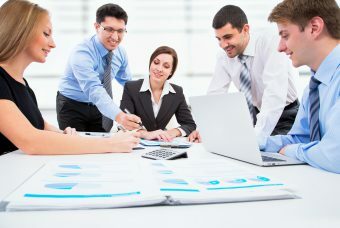 Even the value-added work in his organization required tedious, manual tasks: data updates and transfers, routine e-mail notifications to business partners, and other automation candidates. Addressing all three types of these improvement opportunities would double the capacity of Bob’s organization—without adding any new staff. 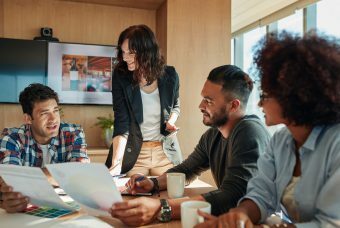 Reducing the virtuous waste—rework, avoidable activities, and individual-employee variance—can help you reclaim about 30 percent of organizational capacity. And this can be done without any new technology. And then there’s robotics and artificial intelligence: Rapidly-configurable process bots (think of Excel macros that span numerous applications) can quickly handle routine knowledge work tasks—once these have been properly standardized, of course. That will deliver another 20 percent in capacity gains! The opportunities for standardizing, and thus automating, are tremendous. The net result: You can double the output of your “knowledge work factory” with standardization as your master key. And you can do it in six months or less. What are you waiting for? 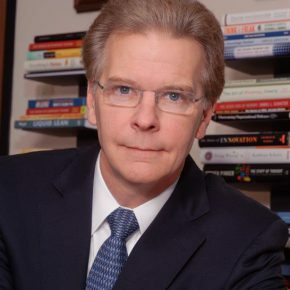 William Heitman is the founder and managing director of The Lab Consulting, which has been implementing knowledge-work standardization for Fortune 500 clients since 1993. 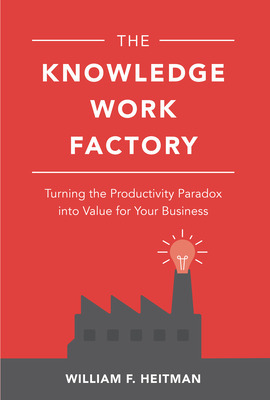 His book The Knowledge Work Factory provides a practical approach for “industrializing” the knowledge workforce to achieve gains in efficiency, productivity, and effectiveness.